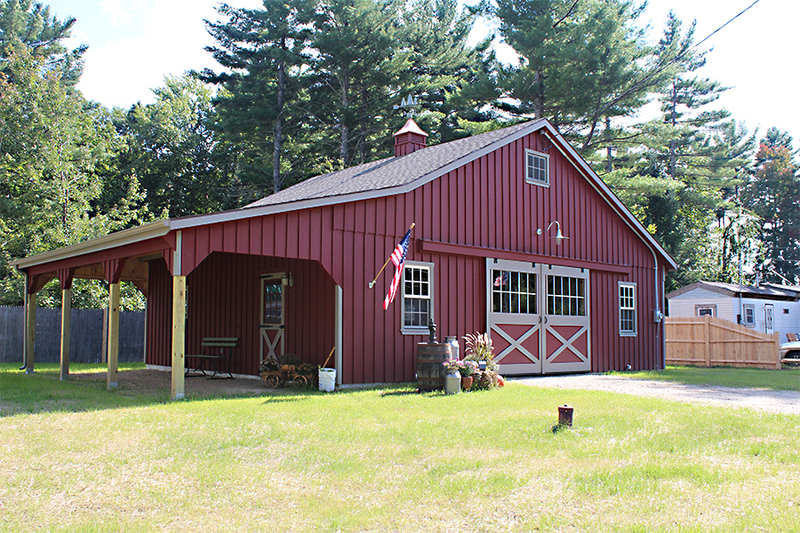 Our Double Wide horse barns give you ample stall area with options to meet your farm needs. 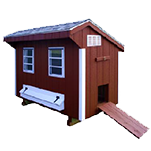 Choose from the basic double wide "Trailside" model to the "High Country" with a full loft. 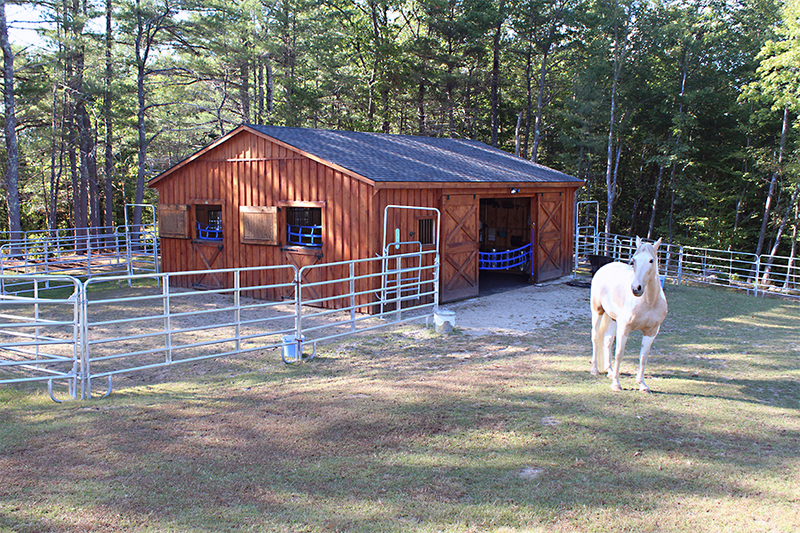 Most of the construction is done off-site which minimizes the time a crew is on your premises and gets you boarding your horses in a short time. Most models can be installed in a couple of days. 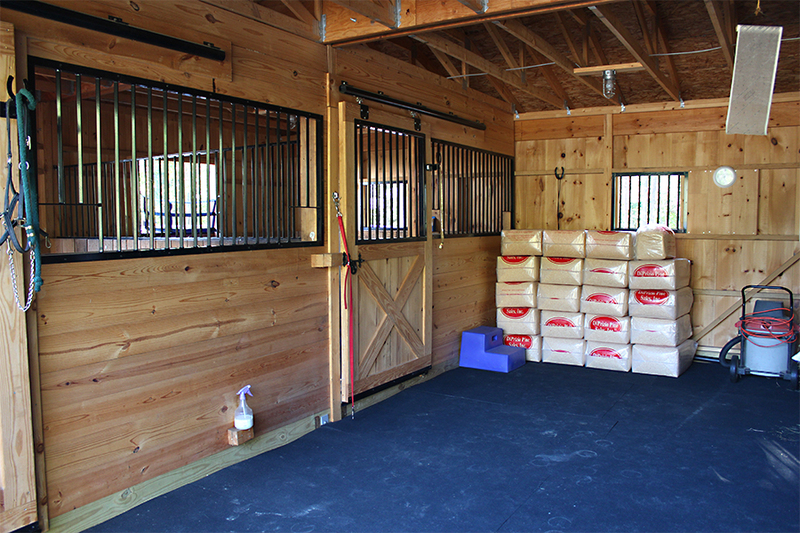 Stall areas can be customized to meet your needs. Also, you'll get a full aisle in order to do your daily tasks without being out in the weather. Prices can vary due to delivery location. 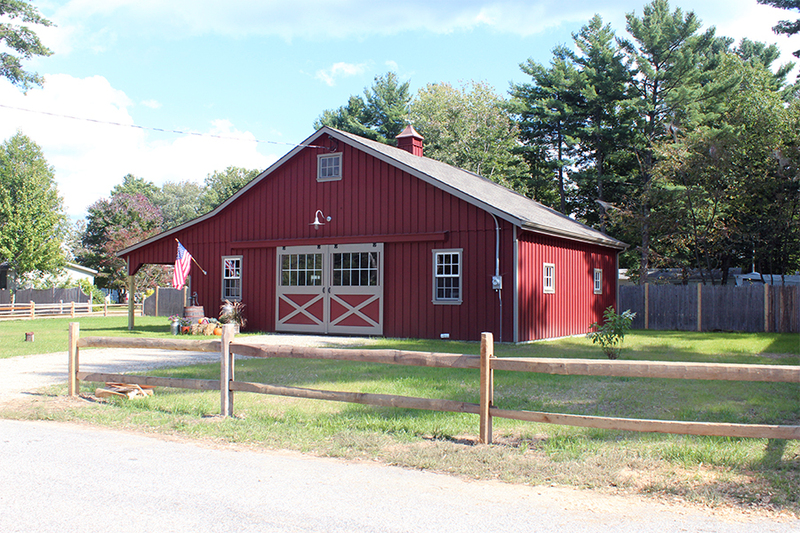 Hill View Mini Barns will not be responsible for errors in prices posted here. The Trailside comes standard with no loft above. 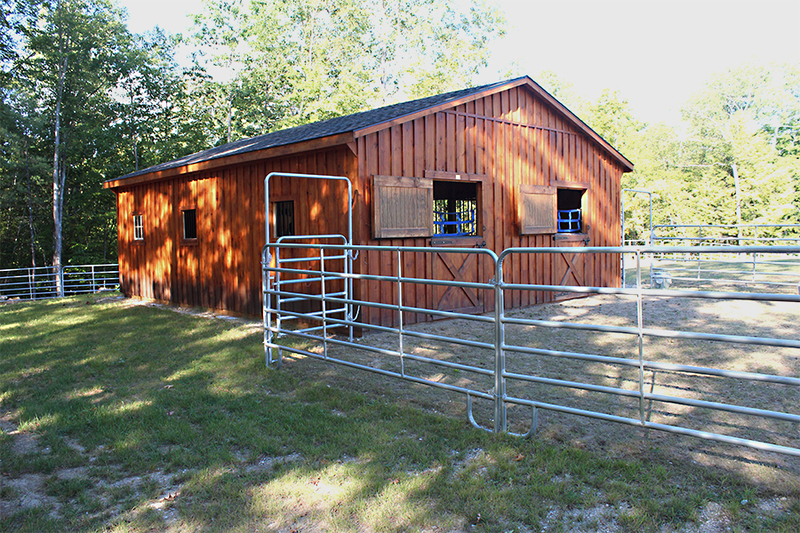 The prices shown below are for our standard Trailside which includes one window with grill for each stall, one window and pine door for each feed/tack room, and no loft area. Half wall with grill between stalls are also standard. Solid divider walls are available. Please discuss options with sales rep.
Stalls and storage rooms are interchangeable. 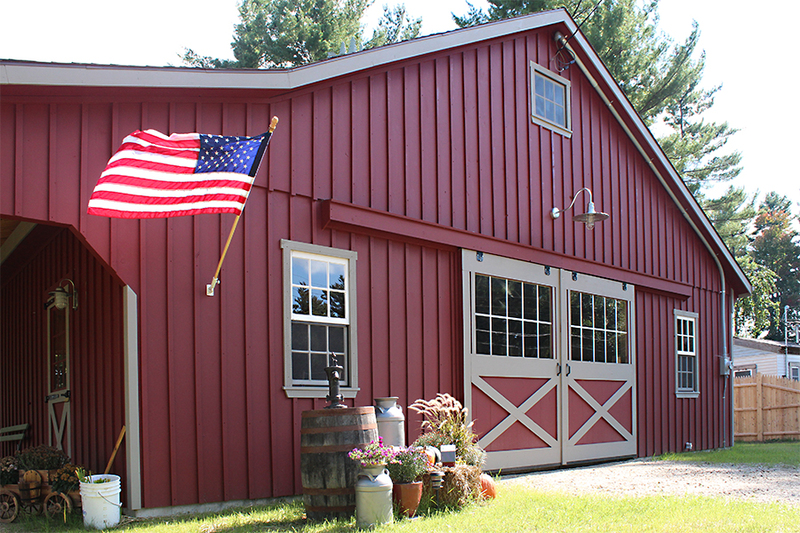 Painted barns are available for an additional charge. 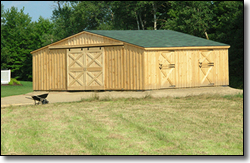 All of these barns are assembled and ready-to-go and can be delivered to your site. Shipping charges vary, depending on your location. Please call for price building, options, and delivery.